Beginning this week; my film journal that (without being reductionist and categorical) will most likely traverse the spectrum from mainstream to experimental and include viewings on the small and big screen. This week the desire for adventure had me seek out recent exercises in Hollywood spectacle, which resulted in a bad film/good film double bill. Sherlock Holmes: A Game of Shadows (2011) was very silly indeed. Despite being set in 1890’s London (and other locations) the overall aesthetic resembled a 1980’s action film, all huge explosions and elaborate fight scenes. 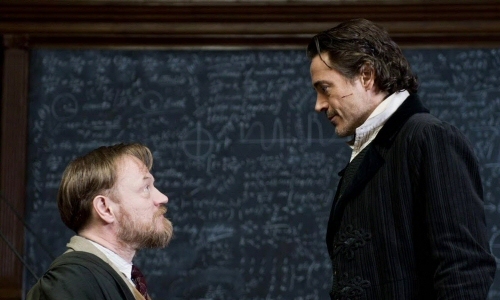 The decision by director Guy Ritchie to explain Holmes’s extraordinary levels of anticipation and observation by showing how he calculates combat moves before letting the fight play out, rather deflated tension instead of amplifying it. Jared Harris was excellent as Moriarty. 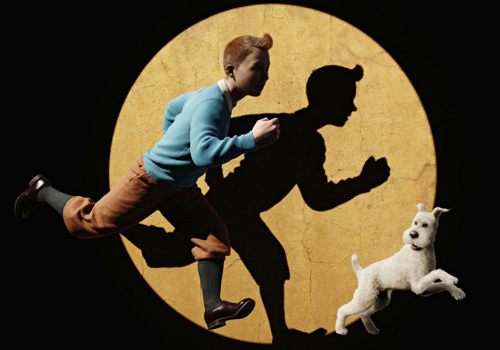 The Adventures of Tintin: The Secret of the Unicorn (2011) really impressed visually and was the first motion (or should that be ‘performance’?) capture film not to challenge my tolerance for the uncanny. With some truly beguiling sequences, benefitting from the unrestricted camera movement possible with animation, The Adventures of Tintin is perhaps a little thin on characterisation, but fun and exciting enough as a pure entertainment. I finally saw Bergman’s Persona (1966) and wondered why it has taken me so long to make the effort. Bibi Andersson and Liv Ullmann had me totally transfixed – despite and because of such a contrast between communication (from Andersson as Nurse Alma) and disavowal thereof (by Ullmann’s silent actress, Elizabeth Volger). Formally vigorous in its use of dream-like montages that interrupt the narrative like a tear in the film’s fabric, Persona also surprised me in its tenderness too. My continuing predilection for monster movies meant I discovered Wolf Creek director Greg Mclean’s Rogue (2007) about a crocodile tour boat in Australia becoming stranded in the territory of a vicious and unusually large ‘living dinosaur’ croc. Starring Radha Mitchell and Avatar’s Sam Worthington – managing to express something beyond his usual bland visage – Rogue was tense and delivered a few good scares despite its predictability. I watched a couple of excellent Czech films, Diamonds of the Night (1964) and Intimate Lighting (1965) which deserve full reviews (coming soon) and at the cinema, split my viewing between light and dark fare. The Sapphires managed to get the balance exactly right between feel-good, soul inflected melodrama and social/political drama, whilst clearly going for the broader laughs. The now ubiquitous Chris O’Dowd brought an abundance of charm and was contrasted excellently by Deborah Mailman as oldest sister Gail. Despite the plot involving the usual sibling rivalry it was refreshing to see a music film that doesn’t place the characters career success centre stage and makes you want to dance out of the auditorium after. Finally I saw Sister, Ursula Meier’s Silver Bear winning follow up to 2008’s Home. The French title for the film L’enfant d’en haut translates as The Child from Above, perhaps relating to the central character, Simon’s (Kacey Mottet Klein) daily ascent to the ski resort above his tower-block home, where he steals skis from tourists to make a living. As in Home, Meier places her child protagonist in a difficult dwelling, and frequently frames Simon against the vastness of the mountain, and the empty sky. Perhaps a stronger film than her previous outing, Sister benefits from excellent performances – including in the unlikely casting of Martin Compston as chef Mike – and a truly touching tale of a thrown together family. For anyone who enjoyed the Dardennes The Kid with a Bike, Sister is an easy recommendation.